“I signed up to do Ange’s ‘Greek Goddess’ programme. Me and the other two girls in the group enjoyed it so much we signed up for another six week programme back to back with the first, so I had 12 weeks prior to Christmas 2010.The programme left me feeling the strongest and fittest I have ever been. I was amazed at what I could actually accomplish. I also had major abdominal surgery just prior to Christmas. The medical staff were astounded with my recovery and my surgeon completely agrees that this is directly related to all the hard work in the gym. It just goes to show you that being strong and healthy helps not only with how you feel each day, but it gives you a huge advantage if you fall ill or need to deal with a medical problem. “Late last year in preparation for a family beach holiday in Phuket, I decided to undertake the 3-month Body for Life programme. I had (unsuccessfully) tried many different programmes before, so was really hoping this one would work and completely transform me! I had no idea how/what/where to start so sought guidance from Ange. She set me up and off I went, checking in with me all the time to provide support and motivation. Whilst I gained some good results on the BFL programme (after 3 months I lost 9% body fat) it didn’t ‘transform’ me like I hoped it would. Ange had just brought out her Greek Goddess programme so I then jumped on board that. I lost 4cm off my waist within 3 weeks!! Believe me when I say I have tried every fad diet/exercise programme on the market. Nothing has transformed me like Ange’s Greek Goddess programme! And the results have come so fast too!! Her programme has a component that none of the others offer. All her workouts are so enjoyable and so much fun!! The are full of variety and tailored specifically just for you (and your problem areas!) Her motivation is sensational! So positive and so encouraging!! Ange has great belief in me (even when I have none in myself). I’m always surprised at my (amazing) results, but Ange never is – because she knew I could do it – and I have!! “Having been a gym bunny for years, I became a huge fan of Body Attack, Pump, Step and Combat, I thought I was pretty fit but I’ve always had an issue with my middle section and I’ve never been able to get the flat tummy/no love handles look, no matter how many sit ups I did!! But during my 6 week challenge I noticed my body starting to take shape, I was getting the cuts on the side of my stomach, my jeans, skirts etc. were loose, my strength and fitness was increasing, I was liking what I was seeing! At the end of my program I had lost centimeters from my mid section and my body fat had dropped too!! The scary thing is that this was all achieved by doing 3x30min workouts a week with Ange and maybe the odd class or run!! I was hooked, so much so that I’ve signed on again… I actually don’t know how I used to fit in 1 hour workouts every day, I kid you not, I used to go 6 days a week and in all that time I didn’t get what I got in 6 weeks! I highly recommend Ange, her workouts are great, fun and I’m always shocked as to how much I can actually do with her beside me! 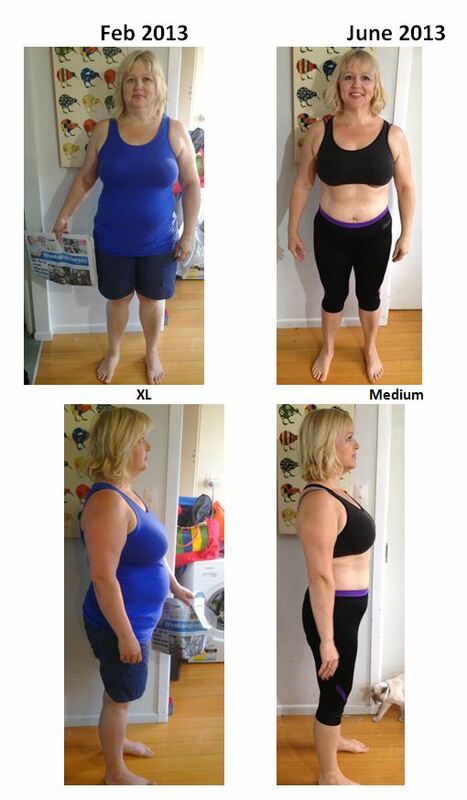 “Ange has been my personal trainer for the past 8 months. I came to her with a bodyfat reading of 28% and in the time I have been with Ange she has helped me lower it to 23%. She has helped me lose over 3kg in weight, develop muscle tone, massively improve my flexibility and generally helped improve my fitness level which was low. She also provided me with the motivation I needed to get back into training regularly after a two year break. “Ange provided me with a training strategy to prepare for my 800km charity bike ride. My main concern was previous knee trouble – I did not want my knees to give out half way through the ride. Ange concentrated on exercises to strengthen my legs and develop my core/abdomen area. Somehow she managed to get me to complete sets of exercises I never would have had the determination to do if she hadn’t been encouraging me.